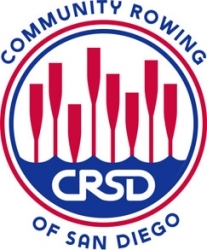 San Diego, CA, September 20, 2018 — Community Rowing of San Diego (CRSD), a public benefit organization that empowers youth to reach their potential through the sport of rowing, reports significant mid-year accomplishments with recognition and funding from the San Diego and rowing communities. · CRSD became a recognized partner of San Diego County’s Live Well San Diego program in June 2018. See June’s Get Moving weblog entry: http://www.livewellsd.org/content/livewell/home/all-articles/news/july-2018/community-rowing-gets-residents-moving-on-south-bay-waters.html. · The LA84 Foundation awarded a 2018 grant of $10,000 to grow CRSD’s fleet of racing crew shells. · San Diego County’s Board of Supervisors approved a fiscal year 2019 Community Enhancement Program award of $4,000 so that CRSD can provide rowing camps for student-athletes of the Sweetwater Unified High School district and San Diego Unified School District on their inter-sessional breaks and winter holiday vacations. · US Rowing, in conjunction with our Veteran’s Administration’s Freedom Rows project, recognized CRSD as its newest community partner to support wounded veterans. Equipment and funds received are now put to good use.